The Sisters of Charity were awarded the Bethany Beacon Award, presented annually by Bethany House Services, to a group or individual for their commitment to building a more just society and their dedication to the poor and underserved in the community. Sisters Delia Sizler and the late Mary Grafe founded Bethany House in 1983, and the Sisters of Charity Community has continued to play an important role in the agency’s mission since. 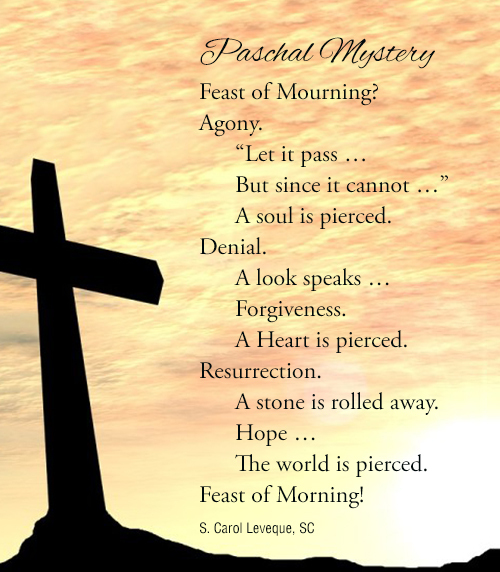 This Holy Week we pray to come to a deeper meaning of the Paschal Mystery – the passion, death and Resurrection of Jesus. Christ’s experience of suffering, death and new life has forever changed us and given us a different way of living. Death no longer has the last word. Becoming conscious of our own dying and rising helps us have a greater sense of compassion for others and a greater willingness to reach out. Mother Margaret Hall Sisters celebrated Easter with employees and their families on Saturday, April 13 with an Easter egg hunt, games and activities. 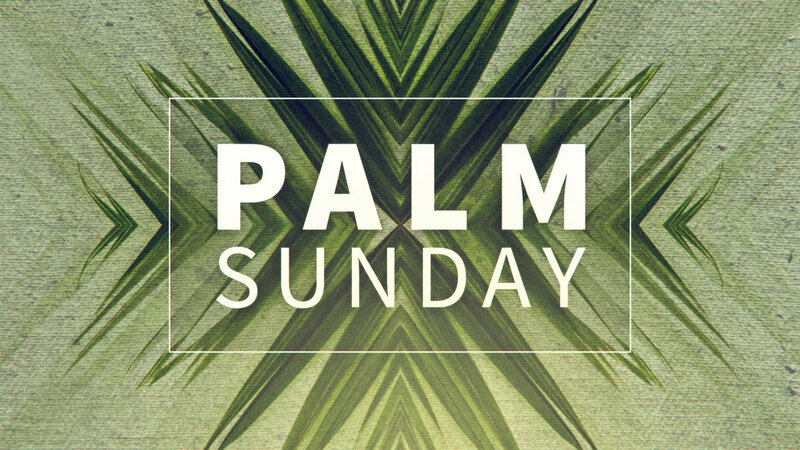 This Palm Sunday we hear the passion narrative from St. Luke. In his Gospel Luke emphasizes the personal relationship of Jesus with others; he describes his kindness and his tenderness. Only Luke describes Peter breaking down and weeping after his third denial. In Luke’s account this happens because “Jesus turned and looked at Peter.” On the way to the cross, Jesus stops and speaks to the women who are mourning and lamenting him. Hanging on the cross, Jesus forgives his executioners. The heart of the matter for Luke – to be a disciple is to be close to the Lord. What kind of a disciple am I? Am I willingly carrying my cross? Can I walk in the footsteps of Jesus and trust? 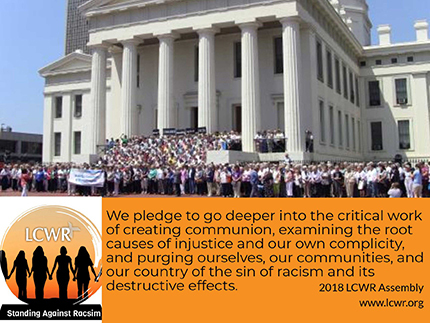 Spend time reflecting in this holiest of weeks. Please pray for the repose of the soul of S. Janet Gildea who died Thursday, April 4, 2019 in Anthony, New Mexico. Sisters, family and friends will greet guests Friday, May 10 in the Heritage Room from 2 p.m. to 3 p.m. until time of the Mass of Christian Burial at 3 p.m. in the Motherhouse Chapel. 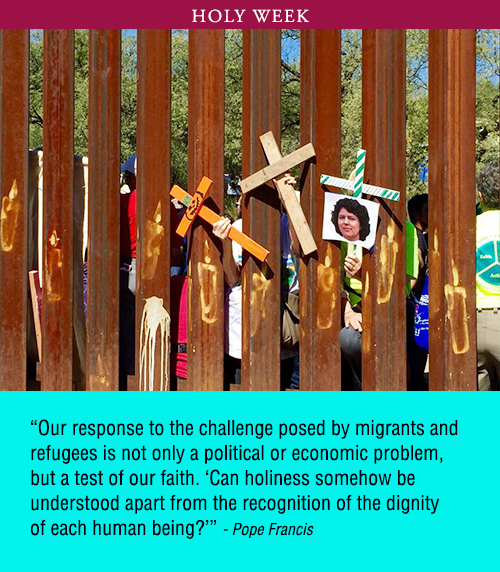 As we go through the Season of Lent , EarthConnection – a ministry of the Sisters of Charity and center for learning and reflection about living lightly on Earth – has prepared this Lenten Calendar with suggested activities and ideas for the season. 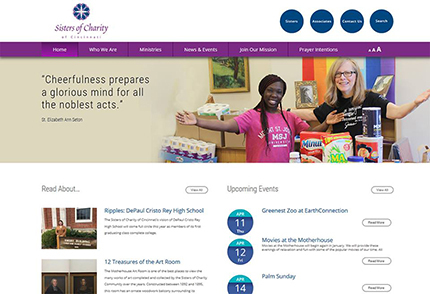 The Sisters of Charity of Cincinnati are eagerly anticipating the launch of our newly redesigned website. The new, user-friendly site will include a search function, changes in navigation, and deliver a fully responsive experience! Stay tuned – the site is set to launch within the next few weeks. 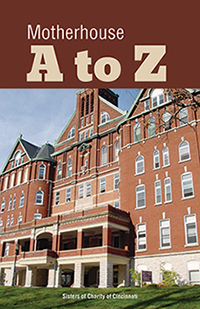 Mission is the quarterly electronic newsletter dedicated to promoting the mission of the Sisters of Charity of Cincinnati. VIEW HERE.